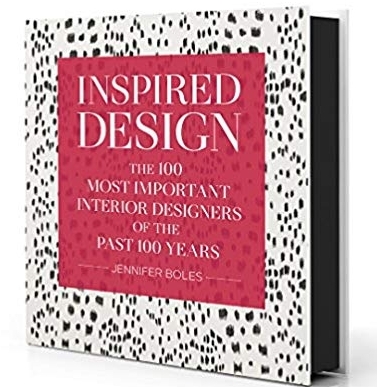 For the design buff, this new compendium of 100 top designers over the last 100 years is a must have - it’s on MY wish list! This beautiful volume, the Joy of Decorating by Phoebe Howard, is a favorite in my design library. And, especially for families, this absolutely gorgeous edition of the complete Chronicles of Narnia includes beautiful illustrations. We own this, and it is an all-time favorite we have read so many times I can practically recite whole passages from memory. It will be a much cherished classic! Puzzles are a holiday and vacation tradition in our family - we open one every Christmas to do together. This is the one I think we will do this year! This Lemongrass and Ginger soap and hand lotion is a favorite. I love the fresh scent and keep a set by the kitchen sink. This would make a thoughtful hostess gift during this party season! For tea lovers, this pretty classic teapot from Le Creuset would be a treasure! And, of course, you need the perfect tea to go with it. This is one of my favorites and comes in this pretty decorative tin! This Squirrel Buster Plus is the best squirrel-proof feeder I have found! The spring loaded mechanism closes off the food supply when anything heavier than a bird lands on it. The only thing it didn’t keep out was our “pet” racoon, Max (he was a frequent enough guest that we named him! ), but that was only because he could reach it from the deck railing! For a little affordable luxury, give this cotton/bamboo terry robe. It is heavy-weight, and generous in size and has held up well to daily use. For a fun, inexpensive gift, this laptop cover will brighten every workday with a little style AND offer some protection! This comes in dozens of patterns - the one below is mine! But do check the model number of the computer to ensure a fit.